Shinya Yamanaka received his M.D. from Kobe University in 1987 and his Ph.D. from Osaka City University in 1993. From 1987 to 1996 his training included a residency at the National Osaka Hospital, and as a postdoctoral fellow in the Gladstone Institute of Cardiovascular Disease, University of California, San Francisco. In 1996 he served as assistant professor at Osaka City University Medical School, and in 1999 became associate professor at Nara Institute of Science and Technology, where he was a full professor in 2003. He has been a professor at Kyoto University since 2004, and was appointed visiting scientist at the Gladstone Institute in 2007. The ultimate goal of Dr. Yamanaka's research is to use adult somatic (body) cells to generate pluripotent stem cells that mimic embryonic stem cells. Dr. Yamanaka hypothesizes that the factors that induce pluripotency also play important roles in the maintenance of this state in embryonic stem cells, and he has selected candidates for pluripotency-inducing factors. By using sensitive assay systems, he has produced retrovirus-mediated transfection of four genetic factors (Oct-3/4, Sox2, c-Myc and KLF4) into mouse fibroblast cells, inducing pluripotent stem cells that mimic embryonic ones. Dr. Yamanaka is attempting to apply this technology to human tissue and working to overcome safety issues regarding the usage of retroviruses and c-Myc. 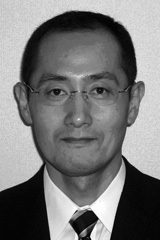 In 2007, Shinya Yamanaka was recognized as a "Person Who Mattered" in the Person of the Year edition of Time magazine. He also received the JSPS Prize from the Japan Society for the Promotion of Science, the Twenty-Fifth Osaka Science Prize, and the Meyenburg Cancer Research Award, among others. In 2008 he was nominated as a Time 100 Finalist, and the recipient of the Nikkei BP Golden Award for the second year in a row. He also received the Shaw Prize in Life Science and Medicine and the Sixth Takamine Memorial Sankyo Prize.